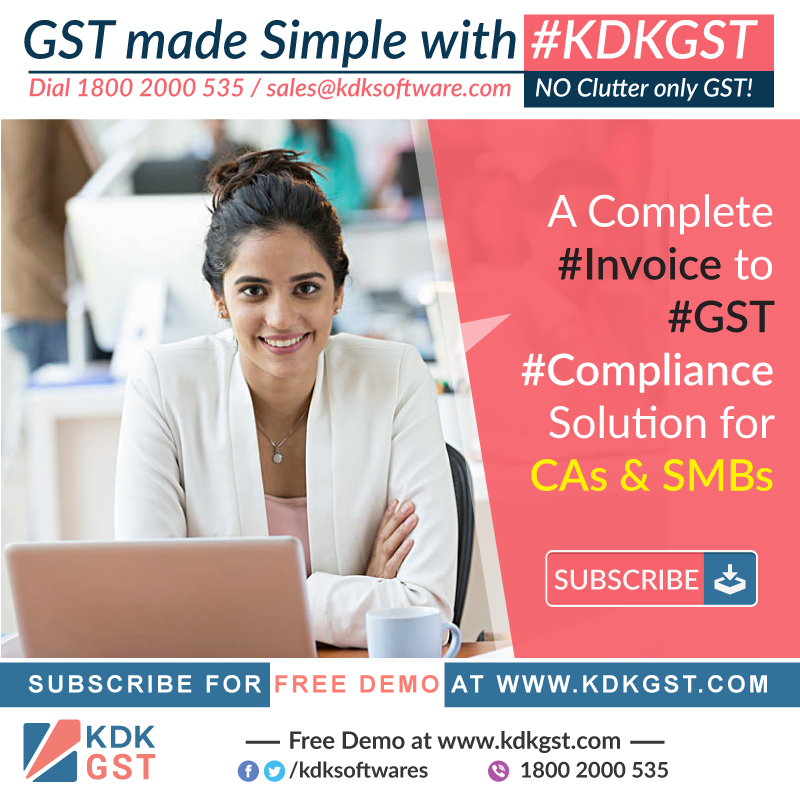 KDK Invoice GST – Now Invoicing will be FUN! 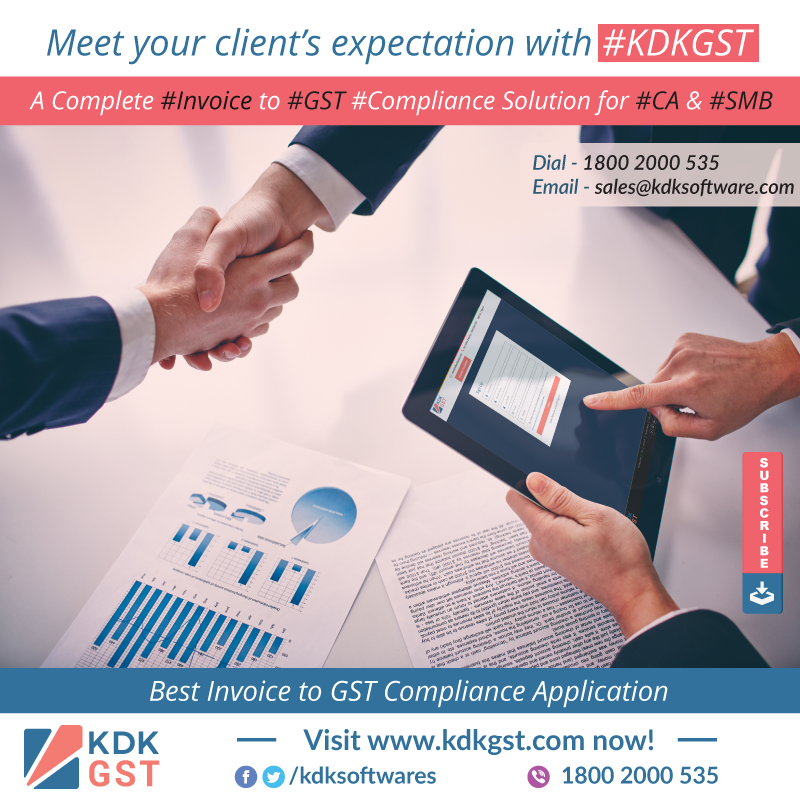 Invoice GST – Your Invoicing’s New Best Friend! An Exclusive Multi Tax Filing solution for Chartered Accountants Features that help you make Tax Filing Accurate. Easy. Quick. 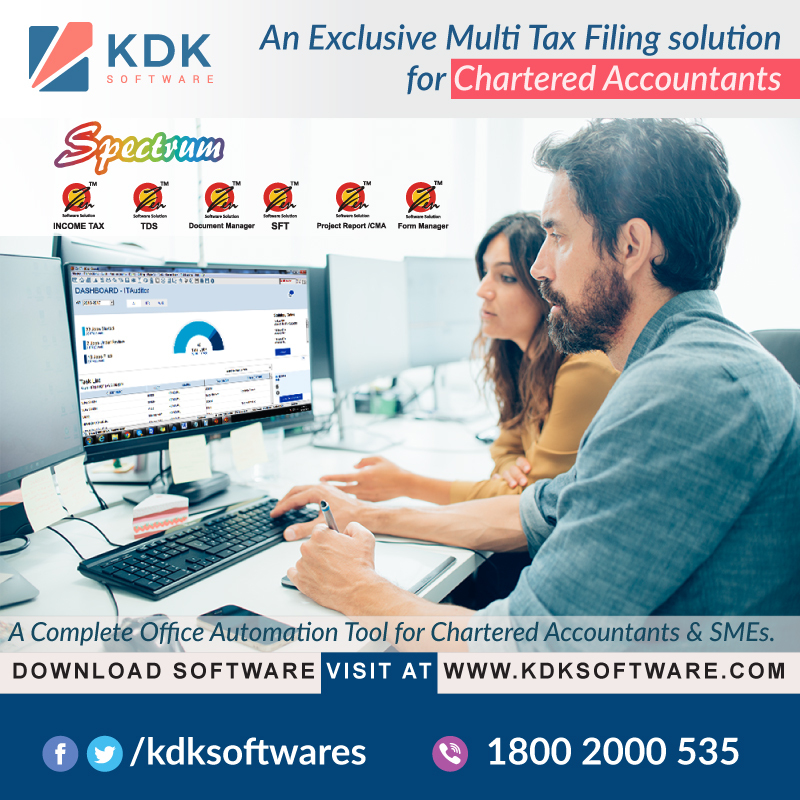 #Spectrum ( A Completed Tax Compliance Software 360° Solution ) - The most appreciated Tax Compliance Software by Chartered #Accountant & #SMBs. 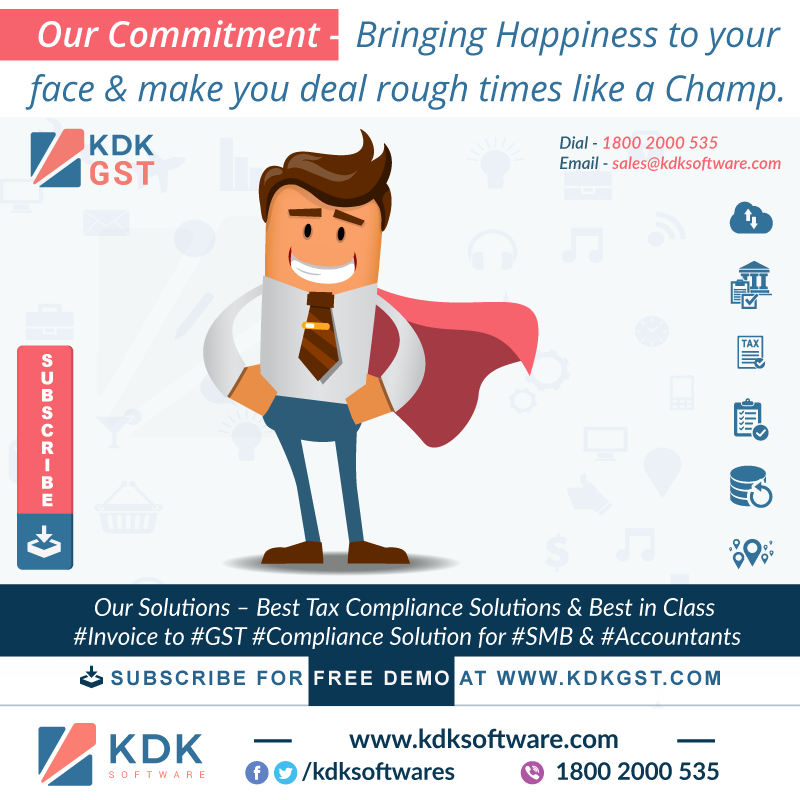 File #Income #Tax, #TDS, #Service Tax & #SFT with ease. 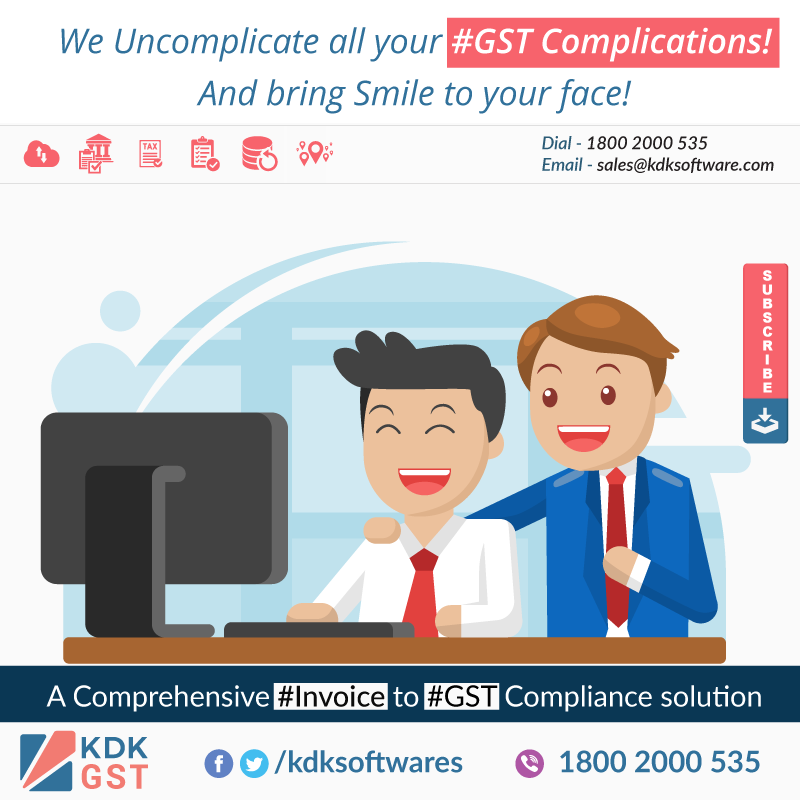 We Uncomplicate all your #GST Complications! And bring Smile to your face! Our Commitment – Bringing Happiness to your face & make you deal rough times like a Champ. Does last date extension for claiming ITC a real relief?